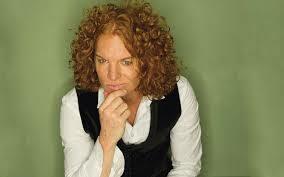 Best Price Guarantee: If you purchase your tickets via the link provided on this page and find a better price for Carrot Top tickets for the seats purchased, Vegas.com will match the competitor's price and refund the difference. That’s customer care you can count on. When Carrot Top comes out on stage there's no telling what crazy contraption he's going to pull out next, but classifying him as just a prop comic is an understatement. His wacky inventions are merely an extension of his outrageous and hilariously funny personality. While some jokes are based on items that he pulls from his prop trunks, others rely on his talent as a stand-up comedian and comical commentary on everything from tourists to NASCAR, celebrities and current events. His show is just as wild and crazy as his big hair and brightly colored tie-dyed T-shirt that he wears during his performance. What seems like a loud fashion statement for most people is mild in comparison to the comedian's uninhibited personality. Mid-way through the show, a bucket is lowered from the ceiling with what the comedian claims to be his "medicine." He pulls it out and reveals that his medicine is actually Crown Royal. Carrot Top pours a shot for himself and then a few more that he hands to people in the front rows while AC/DC's "Have a Drink on Me" plays in the background. You just never know what this crazy comedian is going to say or do next. At times it looks like not even he knows what's going to come out of his mouth. However, the continuing laughter and buzz from audience members as they exit the theater and re-tell some of his jokes proves that he is doing much more than just that.